I handed the TTC bike back to a relieved looking Jesse and turn my attentions to the next bike – Aleix Aulestia’s National Superstock 600 ride. Where Jesse has his riding position set up similar to my own race bikes, Aleix’s couldn’t be more different. It’s like putting someone else’s shoes on that are half a size too small – you’ll be fine for a lap of the block but it does feel awkward. 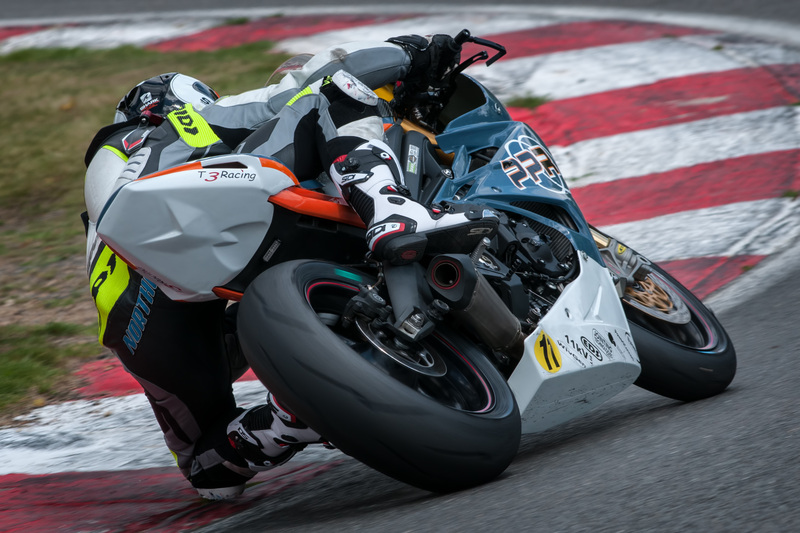 Two things really surprised me about the Superstock bike; one was how different it felt to the TTC bike and the other was how much faster it felt than my 2008 Superstock 600 bike. Chassis-wise in the confines of a trackday I couldn’t feel much of an advantage one way or the other. The set-up of the superstocker did yield a little faster turn in, but that’s just down to rider preference. What really surprised me was just how much faster it felt, not just at the top end, but all the way through the rev range. Suddenly I was troubling the rear tyre all the way down Paddock Hill and at the end of the Cooper straight, Surtees was looking tighter than before. From the middle of the rev range, the superstocker pulled cleaner and harder than the TTC bike. When you consider that the changes are limited to air filter, exhaust, mapping and a head gasket, the size of the improvement is really impressive. Best of all, that level of tuning is within the realms of possibility for all of us on our own bikes, without needing a rebuild every three junctions of the M25. The Superstock 600 championship as it now stands kicked off in 2008 after the end of the Yamaha R6 Cup. I raced that year on an R6 with Team Haribo Racing (yes, the sweetie people, really) and the bike I rode was perfectly competitive and pretty evenly matched to the Triumph 675s that raced with me. The step change between those bikes and this 2014 Superstock Triumph is proof of how competitive that series is. And, of course, further proof of the step forward Triumph made with the new Daytona. Threading my way out of the pit garage I turn the bars about three degrees, hit the race-spec lock stop and overbalance. Do not drop this bike. That’s the instruction firing from my brain down every limb. Do not drop this bike at 3mph in front of the entire team and all your old racing rivals. 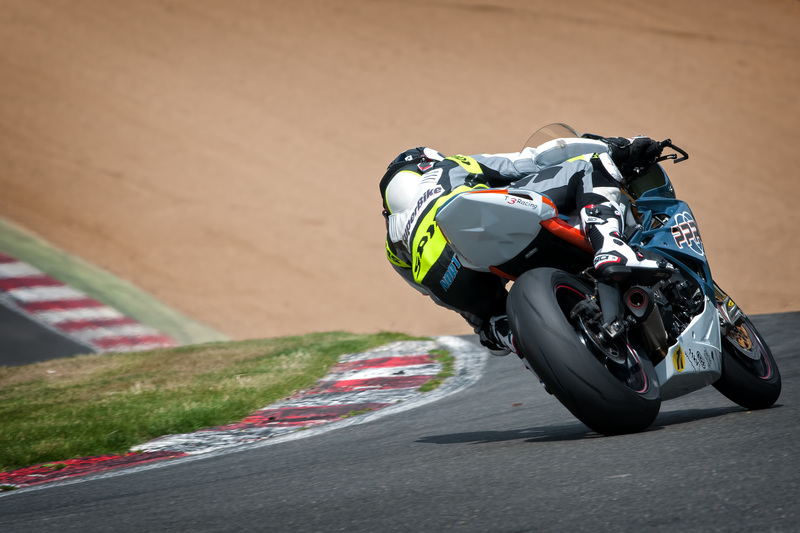 By the grace of a flailing Sidi, my potential embarrassment wedged itself between the fairing and pit lane and I managed to hold on to the bike and ride off into the session. Swearing profusely. The idea of a steering lock limter is to protect the lock stops on the frame in the event of a crash and keep the bars away from the fuel tank – handlebars are cheap and easy to replace, fuel tanks and frames are not. However, this does require some getting used to when you’re pulling out of a pit garage, as the turning circle of the bike is now similar to that of the Cutty Sark. Before it burnt down. Pit lane calamities behind me, Alex Olsen’s EVO 675 teases me for a couple of laps, coughing whenever I ask for full gas. Ah gas, American for petrol, petrol that makes bikes go without spluttering, yeah, I’ll be needing some of that won’t I. Back in pit lane, tank topped up and I get about three gears into the lap before a red flag appears. Oh come on. It was like someone showing you a delicious steak, giving you one tiny bite, then kicking you out the restaurant. It’s OK, I’ll go out in the next session, what, lunch time? Mother#ª•€¶#¢. Third time lucky and after what felt like the longest lunch break ever, I finally got the EVO bike out for a full session. If lunch felt the longest ever, that session definitely was the shortest. This T3 675 was, again, a step up from the stocker and at a level where I could ask for no more on a trackday. The chassis set up, aided by datalogging and constant development, felt agile between the turns and planted in the middle. At the pace I could squeeze in between people enjoying their trackday, it was spot on. Again the mid range power felt like the area with the most gains and the feeling of being between gears I got on the other bikes was gone. A stronger mid range let me pull a higher gear, with more than enough grunt to break traction mid turn. Druids. Backwards. Yeah, confused the hell out of us too.